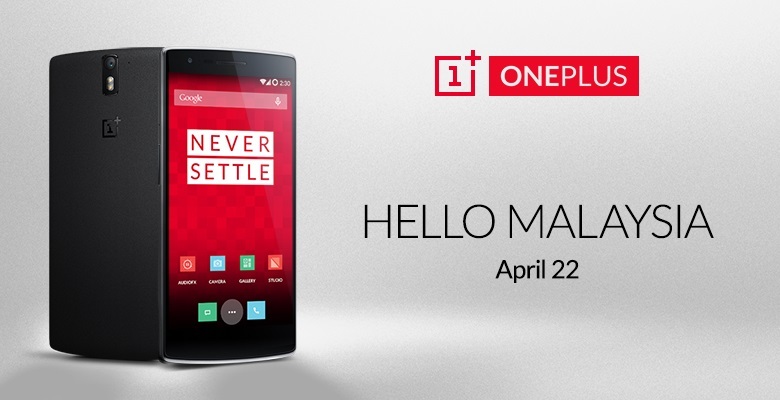 We now know that OnePlus will finally be coming to Malaysia this month, where it will hold a fan gathering to introduce the OnePlus One smartphone to its Malaysian fans on 24 April. We also know that Maxis will be the exclusive telco partner to offer the device. One question that is in everybody’s minds is naturally: what about the retail price? How does RM1,299 sound? 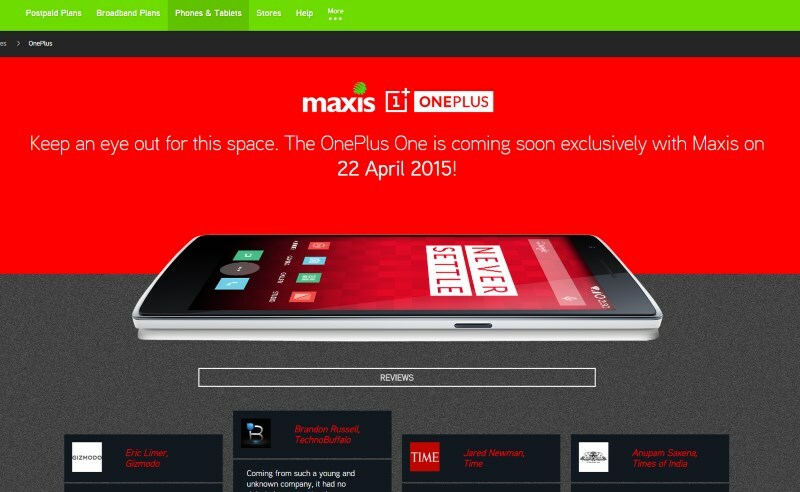 According to an tip posted on Malay tech site Amanz, the OnePlus One will carry a price tag of RM1,299. That’s largely in line with the 64GB variant’s $349 price tag, and the 21,999 Rupee price tag it carries in India – but the Maxis poster above does not indicate which version it is referring to. Given that this model is soon to be one year old, the price of 2014’s “flagship killer” will be subjected to some scrutiny by some Malaysian consumers. Naturally, some will consider RM1,299 as too much for what is admittedly still a powerful device. After all, the One is powered by a Qualcomm Snapdragon 801 processor with 3GB of RAM, and features high-end specs such as a 5.5-inch Full HD display, 13MP Sony camera sensor and the new Lollipop update on Cyanogenmod 12. Besides that, the image also shows that Maxis will be offering the OnePlus One with its MaxisONE postpaid plan, with a subsidised device price of RM959. Again, there’s no mention whether this is a one-year or two-year contract, but it can be considered to be very high price given the RM128 + RM38 monthly commitment one would have to fork out. In any case, we’ll keep a close eye on developments as we head closer to next week’s fan gathering. 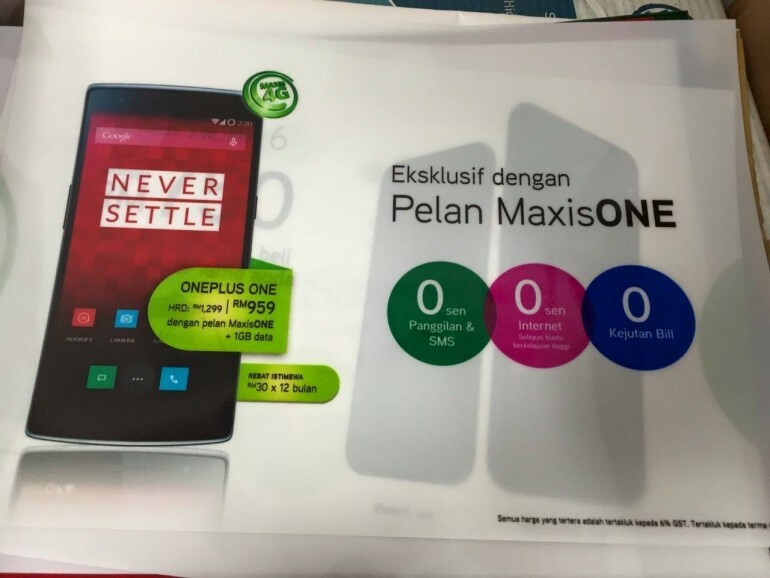 Perhaps OnePlus may still have some surprises for its fans here in Malaysia.